Our most popular combo. 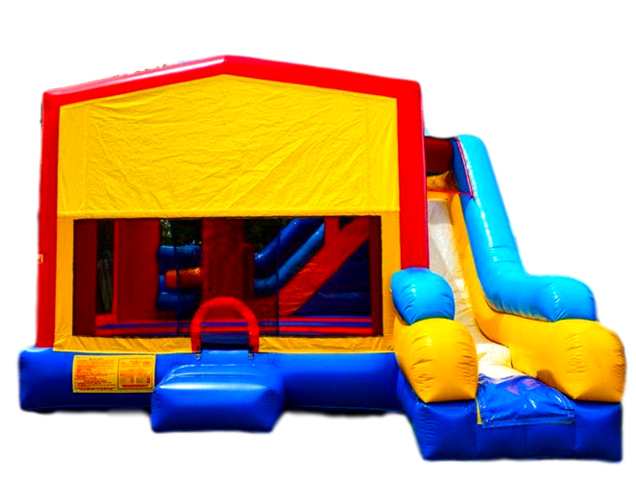 Our 7in1 Modular Combo includes jumping area, two basketball hoops (one inside, one outside), vertical pop-ups, horizontal pop-ups, ladder and slide. Add a theme banner to match your party's theme for only $5.